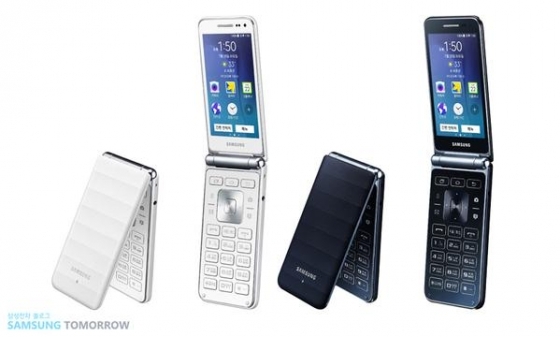 Samsung has just announced another flip phone running Android, the Galaxy Folder. The specs are fairly decent given its form factor. It comes with Android 5.1, supports 4G LTE, 2GB of RAM and an 8-megapixel camera. The device comes with a touchscreen in addition to the T9 keyboard. The device is priced at about $250USD but is currently only going to be available in Korea.